I went to give blood a couple of weeks ago and I was turned away right after the “finger prick” test. To be eligible to give blood the hemoglobin levels for females must be 125g g/L (130 g/L for males). Mine was 120 g/L. We tried 3 times. It was disappointing for sure. I’ve been giving on a regular basis for a couple of years now. Nothing feels better than giving blood. Besides, it’s the only time I eat Oreo cookies! Through this experience I realized I know very little about hemoglobin so I decided it was time to learn about it and figure out how to keep my levels at a passing grade for donating blood. Hemoglobin is that part of our blood that transports oxygen from our lungs to the cells in our body. The hemoglobin molecule contains iron. An iron deficiency is the most common cause of a low hemoglobin measurement. A drop in hemoglobin levels can cause fatigue, headaches, dizziness, etc. 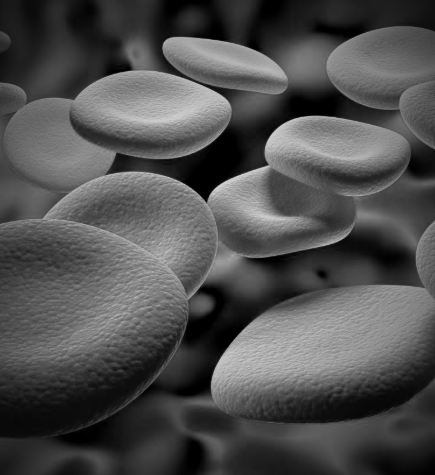 Anemia is the result of significantly low hemoglobin levels. This is a potentially serious condition where the body doesn’t produce enough oxygen-bearing red blood cells. Iron comes from the food we eat. Food likes shellfish, spinach, organ meats (liver, etc. ), legumes, red meat, pumpkin seeds, quinoa, turkey, broccoli, tofu, and dark chocolate are said to contain the highest amounts of iron per milligram. I am not a meat eater but there are foods from this list that I do consume on a regular basis. I’m so glad that dark chocolate is on the list. I’m not really sure what happened to affect my hemoglobin test but I do know I had been eating a little differently than normal. I had switched to eating cereal instead of eggs for breakfast. When I do have eggs for breakfast there is normally a couple of handfuls of spinach mixed in. I was away from home during that time as well so there could have been other changes that were taking place that I didn’t realize. Oh, and did I mention that I had a bit more alcohol than I normally do? Beer, wine, coffee, tea and cola drinks are all considered iron blockers meaning that they can block our body’s ability to absorb iron. I’m bound and determined to be able to give blood at the next appointment so I’m paying more attention to my diet. Regardless eating a well balanced diet leaves me feeling much better on a daily basis. I’m back into that routine. I’m off to find some pumpkin seeds to munch now with an orange, because the vitamin C in the orange helps with iron absorption!